1. They are very, very smart. 2. The rest of us aren’t very, very smart and are often quite stupid. Consequently, The Anointed don’t view wide-open debate and discussion as opportunities for the best ideas to be discovered and bubble up to the top. They view them as opportunities for the great unwashed masses with their inferior intellects to be fooled and led astray. One way or another, The Anointed believe they must coerce people who disagree with them into shutting the hell up. “Ashamed, guilty and embarrassed” – these are just some of the words Labour deputy leader Tom Watson used to describe himself when he hit 22 stone. From that point, Tom – who suffers from type two diabetes – has dropped seven stone (44.5kg) after starting a new exercise regime last summer. Combining healthy eating and taking part in sports such as cycling and boxing, he says his lifestyle change has even “reversed” his condition. That’s quite a turnaround. So how did he accomplish it? One of the most essential ingredients in the weight-loss recipe is nutrition. But how does someone go from all that fast food and beer to a strict, healthy regime? “To prepare for day one of my new life I cleaned out all the cupboards,” says Tom. “No more biscuits, no more cakes and no more pasta. His “lifestyle change” consisted of following the Pioppi Diet, a diet designed to reverse obesity and type two diabetes – reversing Tom’s diabetes. The diet advocates a low-carb regime, and allows three meals a day with the one rule “only eat until you feel full”. Yum-yum! Cereals, bread, biscuits, bagels and pasta! Yup, that’s healthy eating, all right. 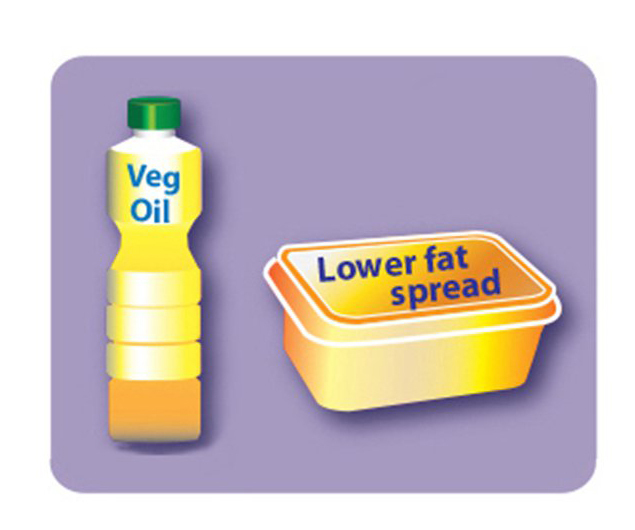 Vegetable oils and low-fat spreads. Yessir, nothing improves your health like consuming oils and spreads that only exist because of industrial processing. 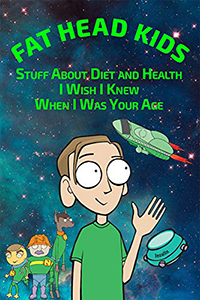 So we have the “well-founded government advice” from Public Health England, and we have the low-carb Pioppi Diet that enabled Mr. Watson to lose nearly 100 pounds and reverse the symptoms of type 2 diabetes. People who believe in the marketplace of ideas would say let’s put them both out there and see which diet wins. Perhaps some other politician will lose 100 pounds and reverse diabetes symptoms, then chalk up his success to following the Eat Well guidelines. In an effort to combat the epidemic of health misinformation I co-wrote a book, The Pioppi Diet, which brings together the evidence on what individuals and policy-makers can do to rapidly improve health and reverse the twin epidemics of obesity and type 2 diabetes. I was pleasantly surprised when the deputy leader of the Labour Party, Tom Watson, contacted me a few months ago to let me know he had “relatively easily” lost 94lb and improved his health by specifically following the diet. For inexplicable reasons, according to one prominent healthcare leader (who has asked not to be identified), Public Health England tried to “sabotage” the launch and press coverage of the book last year. I was told by one eminent doctor that he had been contacted by a senior official from the body and warned from attending the launch in London, to be held at the headquarters of Penguin Random House. To his credit, he did attend. Another health leader, who heads a national charity, did not attend, and said he had been “poisoned” against the book. Andy Burnham, the mayor of Manchester and a former health secretary, endorsed the book and attended a launch in Manchester. His office also received a call from Public Health England, warning him against showing public support of the diet. 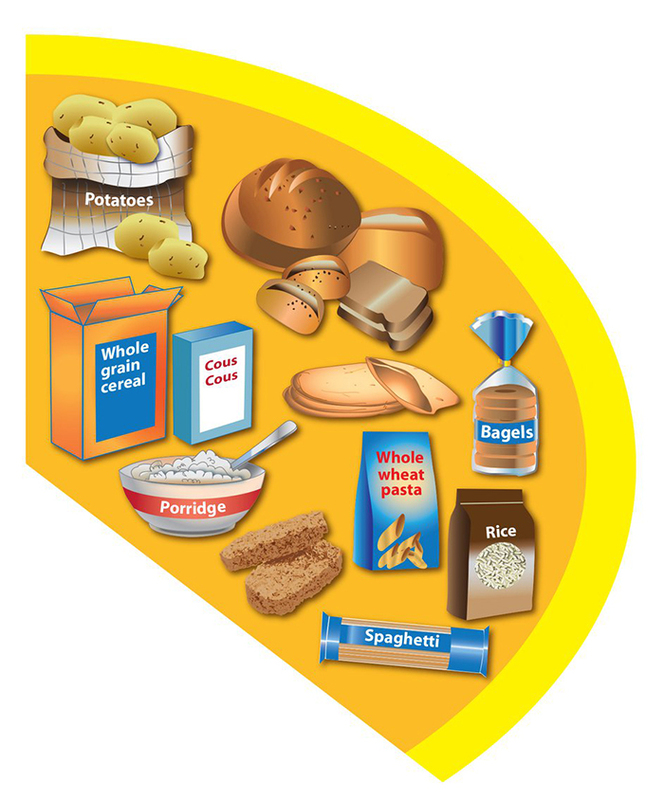 Public Health England makes different dietary recommendations to the Pioppi diet. It recommends placing starchy carbohydrates, such as bread, pasta, rice and potatoes, at the base of the diet, and to reduce consumption of saturated fats. I have published evidence reviews showing no association between consumption of saturated fat and a heightened risk of cardiovascular disease, diabetes and death, but Public Health England doesn’t want to debate the issues. Of course Public Health England doesn’t want to debate. They’re afraid they’d get their public health asses kicked in public. They’d much rather try to intimidate people into silence. We’ve seen this pattern over and over, from the persecution of Tim Noakes, to the forced silencing of Gary Fettke, to members of the USDA’s dietary guidelines committee demanding that Nina Teicholz be disinvited from a conference on national food policy. Back in my naïve youth, I thought to have governments go after you, you’d have to do something truly threatening … you know, like steal nuclear secrets, or expose covert operations, or read the 10th amendment to the Constitution. Nope. Turns out all you have to do is tell people they’re better off without grains and industrial vegetable oils. Do that, and The Anointed will try to shut you up or shout you down. Eat your grains and obey your rulers. Or not. If Sugar Consumption Goes Down But Obesity Goes Up, Does That Prove Sugar Doesn’t Cause Obesity? Nope. Dr. Fettke Cleared … Oh No, Is Common Sense Breaking Out? I’ve been on low-carb for nearly twenty years, and the only persistent problem I’ve had with it is fools preaching to me about how “unhealthy” it is. It’s even more fun when the fools are on prescription medications for a slew of health problems. Fools are foolish because they cannot see their hypocrisy. Looking at the news in general, I think the huge stumbling block for the vast majority of decent citizens is the Big Lie technique. They really do believe that, while we all tell lies about small matters, no one would be shameless enough to lie deliberately about things of great importance. Once you get over that hurdle, and commit yourself to believing – and then only to a degree of likelihood – what can be proved to your satisfaction by facts, figures and logic, your eyes are opened and you begin to comprehend the astonishing amount of barefaced lying that goes on. We would all be in a very unenviable position were it not for the human ability to establish networks of trust. 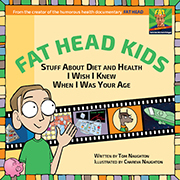 I trust Tom Naughton because I watched his “Fat Head” movie and have followed his blog for years, and I have never found him to say anything that didn’t seem true and reasonable. I trust Dr Ron Paul and Michael Hudson and Dmitry Orlov and Dr Freeman Dyson and dozens of others as authorities in their own fields, and as sensible commenters outside them. You also have to learn that no one is perfect. I could probably find something important about which I disagree with anyone – even Tom Naughton! (Although I don’t know what that might be, and I don’t really want to find out). It’s vital to understand that everyone has their Achilles Heels and delusions, which don’t usually prevent them being emphatically right about most things. This reminds me about how, a few election cycles ago, one of the candidates was a “flip-flopper”. Big issue. He changed his opinion so he can’t be trusted. I personally have flip-flopped on many things, including low-carb dieting. I am proud of my flip-floppery. It takes a a strong sense of self to change important opinions in the face of superior science. I think being able to admit to being wrong is one of the most important steps to being enlightened. I disagree. Firstly there is the pull of “authority” and the fact that unless you study it, medicine and health can be complicated matters. Most people are too busy to and too ignorant to question their doctors, and taught that it’s not Ok to question them. You should see the fuss that occurs when someone dares to ask about vaccination for instance!! With the Net this has changed, but still too many people regard doctors as angels and all-knowing and beings who should never ever be doubted. Naw, that had nothing to do with it, I’m sure. Pioppi Diet? That would kill the medical industry. Just the diabetic supplies industry alone. Think of all the doctors who are up to their heads in debt (in the US) non dischargeable debt. This would ruin the doctors and the fiscal institutions. On second thought — let it be. Charging interest on money is immoral as all the classical civilizations knew and even in the time of Martin Luther bankers we buried on the dunghill. “Thirteen months later I’ve lost 99lbs and no longer need medication. “I feel like a cloud has been lifted from my brain, my memory is a lot better and I’m more compassionate. More compassionate — The voters may well turn him out. If compassion translates to “I’ll vote to give you stuff and make other people pay for it,” he may become wildly popular. Thank goodness he didn’t tell you the diet will kill you. Someone needs to tell the NHS and their graphics designer that the 90s are over. And then someone needs to tell Parliament that the authoritarian 20th century is over. Yup, but they’re going to put up a helluva fight before it’s over. If The Anointed at PHE were so freaking all-knowing why did they fail to improve Tom Watson’s health, and more to the point how did their advice get him (and millions of others) into that state in the first place? I predicted a while back that Aseem’s head was too far above the parapet and Action Would Be Taken. They are in lockstep the world over, the DAA in Australia, the South African lot, Harvard, the AHA, all bravely fighting back against reality. And don’t even think of Cochrane vs. Peter Goetzsche. Thanks in you previous articles for the reminder about Steve Cooksey, one I’d forgotten. Then there was Annika Dahlqvist in Sweden, that didn’t go too well for them either. The good thing is that the desperation is becoming palpable. Currently Aseem’s Twitter feed is exploding with stupid, along with many others. At some point, they may choose to stop embarrassing themselves in public. They haven’t yet grasped that the jig is up. Dr. Gary Fettke was just exonerated from any wrong doing by the DAA, and even wrote him a formal apology. Being on step 3 is a positive sign! Only semi-related… Tom, are you familiar with Scott Adams, the Dilbert cartoonist? I am reading his book Win Bigly regarding the Trump election cycle & the aftermath (leftists’ Trump Derangement Syndrome and so forth). It’s a book about the art of persuasion and how sharply it contrasts with the popular illusion of a rational paradigm of human behavior. The 25% of the book that I have read so far has been fantastic, and I would recommend it to anyone. Most people know what confirmation bias is… But what nonpersuaders usually don’t realize is how prevalent confirmation bias is. Confirmation bias isn’t an occasional bug in our human operating system. It is is the operating system. We are designed by evolution to see new information as supporting our existing opinions, so long as it doesn’t stop us from procreating. Evolution doesn’t care if you understand your reality. It only cares that you reproduce. Ditto on the YouTube videos. He’s legit. Didn’t occur to me, until now. A man so “lazy” that on the average day he took zero steps and barely moved a muscle. Sadly, he has passed on – so we will never learn his secret of staying thin without any exercise. Perhaps there is a quantum explanation? Joking aside, it seems to me a pertinent comeback question to anyone saying that lack of exercise makes you fat. He’s a famous person most have heard of. They will struggle for a good explanation. Hmm… so what did his diet consist of? I was a regular jogger and also fat until I cleaned up my diet. Actually Hawking used to trundle around Cambridge in his wheelchair and apparently frequently ran over people! That’s the amusing bit. Then he decided to join the Israel haters despite using a piece of Israeli tech in his communications instrument that allowed him to talk/be heard. My apologies for being slow with the comments this weekend. I was working on a software project and forgot to check. This site is worth much more than anything I have paid to access it. OK, for most people, it’s have a day, job, charge for access, or sell product. Some people will object to all three especially to selling nutritional products. Let’s just say I’m grateful for your efforts on this web site and given the price how can I complain?! And if you don’t like the content, I’ll cheerfully refund your money. But of course – it won’t have any impact on politics….! I’ve just bought the book. Mostly out of curiosity, to see what he says. I was also annoyed his whole segment was cut from that diet programme. Open the cover, the first quote ‘This book is revolutionary. It should be read by everyone’. From Sir Richard Thompson, Her Majesty The Queen’s personal physician 1984-2005 and past President of the Royal College of Physicians. And the Queen isn’t doing badly for herself. She’s also not one for starchy carbs at dinner, so I’ve read. That dangerous low carb diet is going to kill her soon. The anointed are running scared, so they are playing dirty. They are so concerned that we are getting good information on the web that they are banning groups that run counter to their narrative. I just received disturbing info. in the GreenMedInfo. newsletter that Pintrest had banned them. I stopped using Pintrest over a year ago so it annoys me but doesn’t affect me. I follow them on FB and get their newseltter and find their information generally useful and definitely interesting. I fear the “Freedom of Speech” that we hold dear is slowly being censored and if you don’t agree with the anointed you will be hunted down and silenced.